The issue of auto accidents is problematic. Car accidents have caused many lives and rendered a lot of people disabled and jobless. 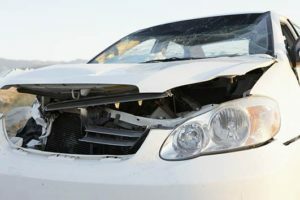 There’s been a spike in car accidents in recent years; in fact, the state of California is on record as one of the 10 states with the highest rates of car accidents. If you are unluckily involved in a car accident in Inglewood, CA, it is advised that you seek legal representation for your pain and suffering. Rawa Law Group is a law firm known for its aggressive legal luminaries. Our auto accident attorneys are always on standby to help accident victims fight for their rights. Our brick and mortar office houses some of the finest personal injury lawyers in the whole of California. We understand the plight of these accident victims which is why we have dedicated our time to help you fight for your right and seek the right amount of compensation you are entitled to. Our legal process is straightforward and convenient for you. From our flexible office hours to home and hospital visits, we are dedicated to your service. Your case gets a one-on-one, personal, undisturbed attention from one of our car accident lawyers. While this should naturally cost you money from the onset, we offer our legal services to needing claimants at absolutely no upfront payments; this means we only get paid for our services when we have won you your case. Take charge of your life, opt for our free consultation and let’s help you win your case.